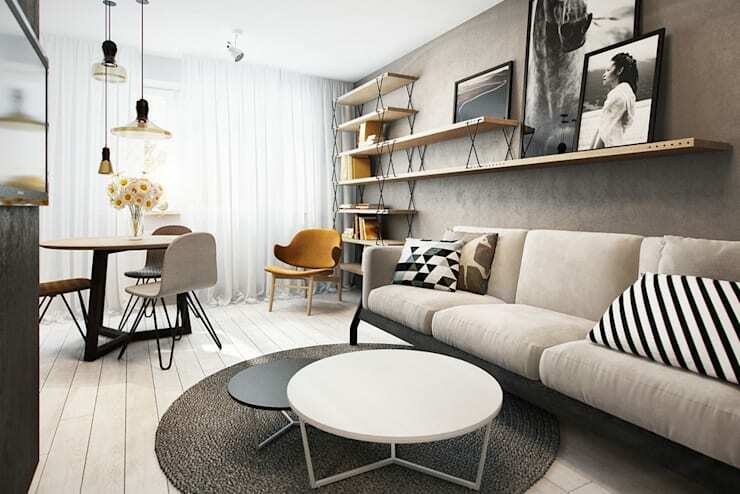 Modern design is perfect for decorating small spaces because it makes the most of simplicity both in terms of clean lines and practical furniture. With neutral colour palettes and warm and earthy tones, you can create a very relaxing and quiet environment. A modern style has to be constant, however, integrating environments and incorporating as much natural light as possible. 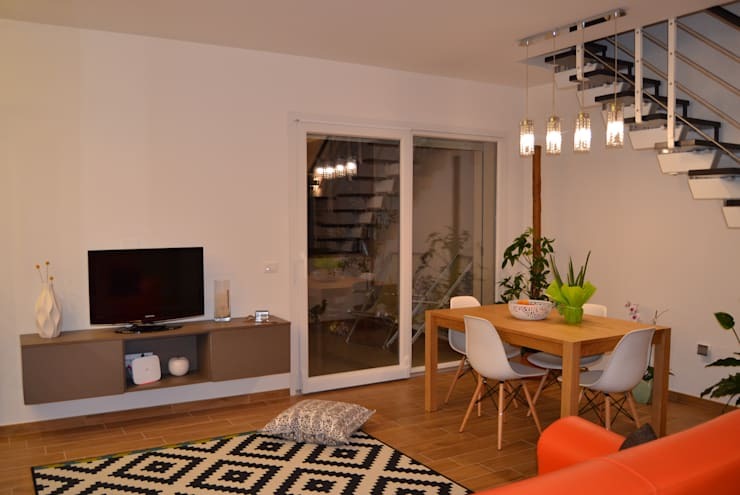 There are also all sorts of features that are necessary if we are going to give a cozy feeling to our small house, yet we need to avoid clutter and chaos that will oppress the environment. Today we have 13 ideas to show you how you can give your little home a modern and inviting look and feel. Be inspired. Earthy tones are some of the most used in the decorating of modern homes as they are able to convey emotions as well as influence the mood of people. These colours create calm and cozy spaces that are perfect for socializing and relaxing. These shades also provide naturalness to the environment, allowing you to enjoy this room to the fullest. You can include wooden furniture and add touches of white to the walls and ceiling to give a little bit more light and life to the space. In this image, we can see that there is a delicate combination of beige tones, which manages to convey warmth, elegance and modernity. The best part of this decorating style is how you can go for very simple furniture and design, which is ideal for small spaces. The intention with modern decor is to maximize every corner, leaving out any object that does not perform a specific function. You can truly create a feeling of tranquility in even the smallest of homes! With a small home, opt for lighter colours that introduce a feeling of spaciousness and brightness as well as textiles such as floral patterns, bold shapes or stripes. 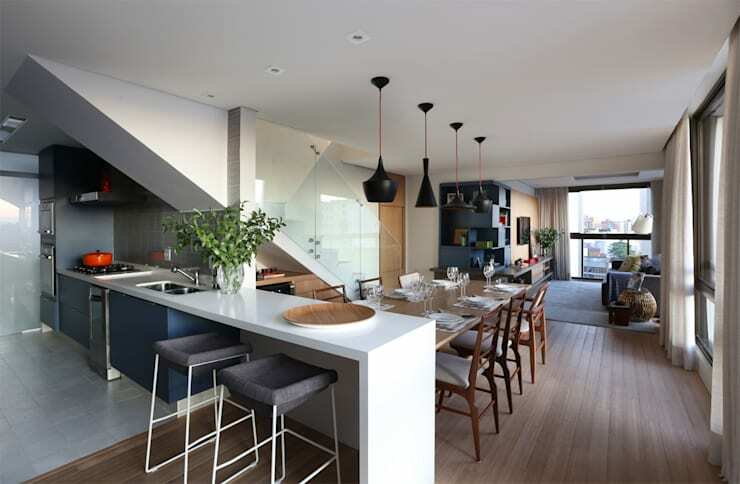 This is an exquisite combination, drawing attention away from the small size of a home. The presence of rugs adds warmth to the environment, while natural light is paramount! Have a look at these tips for bathing your home in natural light. In this design, we can see the simplicity of the lines and how they work in harmony with the neutral colour scheme. Touches of vibrant colours and patterns bring charm and personality to the space. To avoid the feeling of being cooped up in a small space, place mirrors on the wall. This visually adds dimension to a room and enhances the natural light. A large mirror can make your home look sensational! In this example, a mirror that extends from the floor to the ceiling of the side wall adding height and depth. 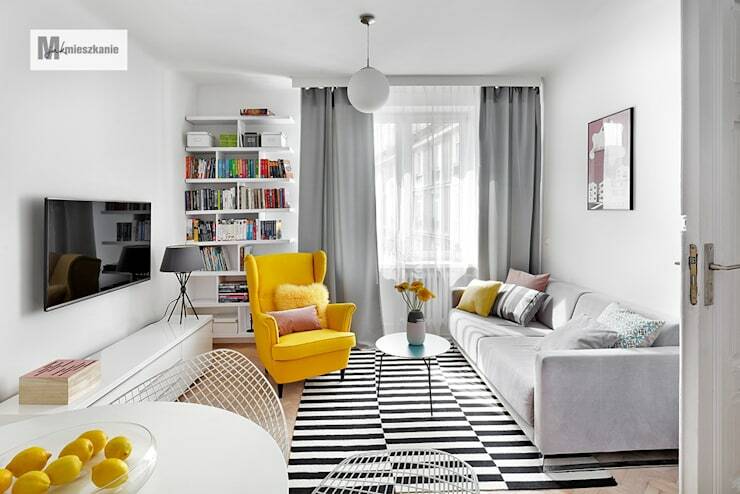 We can also see how the inclusion of bright and vibrant colours like yellow give the room the feeling of joy. Another detail that can elevate the style of your home is to introduce works of art, which will reflect your personality and style. Here we can see how design professionals Privalov Designi have added elegance and sophistication to the cozy room in the form of artwork. Yellow is a cheerful colour, which represents intellect. It's also a very optimistic tone. Yellow is a good choice because it brings brightness and energy to a room. If you are going to paint the walls or ceiling, choose soft tones. If you want to add a bit of vibrancy, add a cabinet or an armchair, which becomes the focal point and make that the bright addition to the room. It will work in harmony with the neutral tones, creating a very elegant look and feel. The dining room should be friendly and work in harmony with the rest of the decor in the home. This is why the choice of table and chairs is very important as they need to work with the textiles and materials used throughout the rest of the home. The colour of the table and chairs is very important. Opt for neutral colours that are more timeless and give you more options when it comes to combining with artwork or other pieces of furniture. Your home should look calm and cozy at all times so choose comfortable yet stylish furniture. Maybe you only have space for one piece of furniture in the entrance hall, where you can leave keys, handbags and other items as you step through the door. Thus we suggest that you choose furniture that gives this area of the home a very special touch of personality. In this example, we can see how a combination of materials has been chosen. 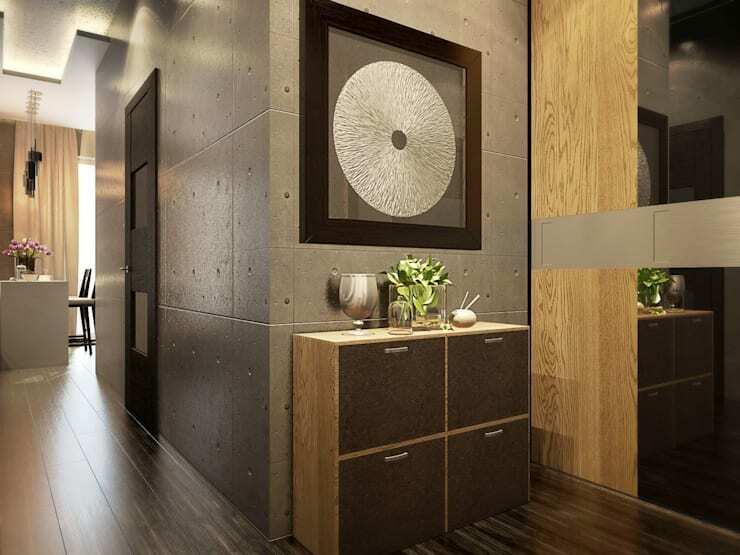 A concrete wall works in harmony with the warm, wooden furniture, creating a very elegant hallway. 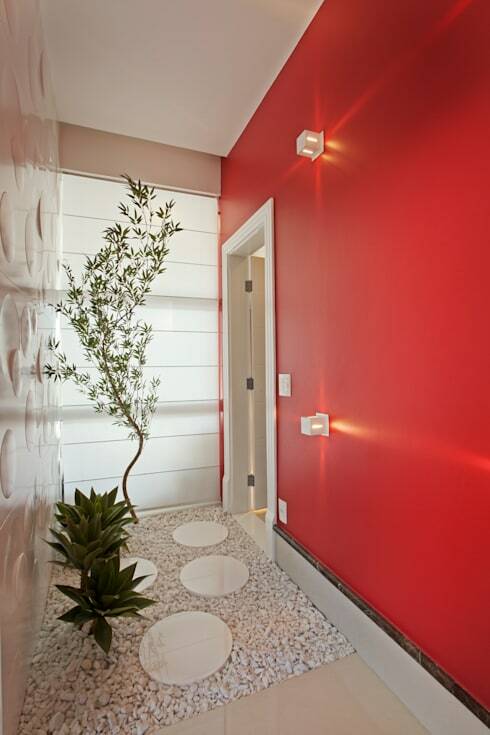 It is also decorated with discreet ornaments, including a little pot plant – a great tip. Have a look at these 7 impressive ideas for your entrance for inspiration! In your entrance hall, you should have a very friendly and welcoming ambiance, that welcomes people into your home. It should reflect tranquility and have plenty of good lighting. Personal details are also a wonderful idea! Remember that there are so many options for decorating this space, but an indoor garden is a very simple yet effective one. In this design, we can see how the stone floor works in harmony with the gorgeous green plants, which creates a very dramatic effect against the bright wall. This is modern and sensational and is bound to impress your guests! Using a range of neutral tones for your interior space never fails, no matter what room you choose it for. And it certainly doesn't have to be boring! There are lots of colours that work in harmony with beige tones including creams, greens, yellows, browns and grey. This colour combination can really create a stunning room with lots of depth. 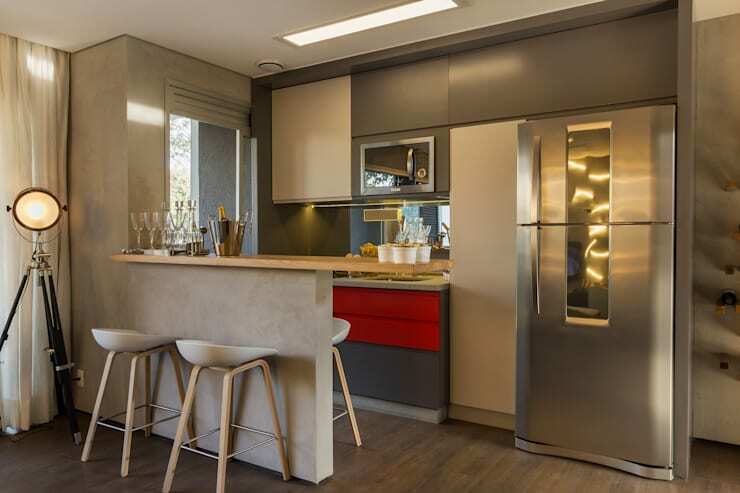 This kitchen design is the perfect example of modernity and elegance, where a variety of these colours like grey, beige and white have been used to work in harmony with the warm lighting. The flash of red is like the cherry on top of this design! 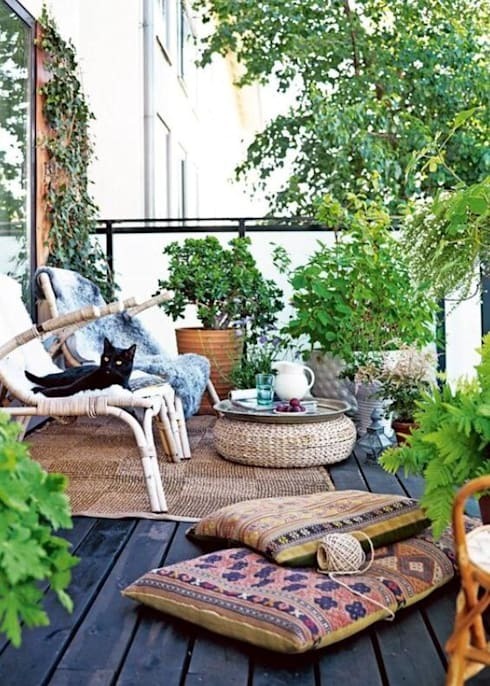 If you are lucky enough to have a balcony or small terrace in your home, you need to make the most of it! Give this space its own special style and decor. With textiles, you can add colour and texture to the oudoor area, without needing to incorporate too much furniture or too many accessories. A carpet and some cushions make the space very comfortable and aesthetically-pleasing. Choose natural fibers to achieve a fresh and relaxed feeling. 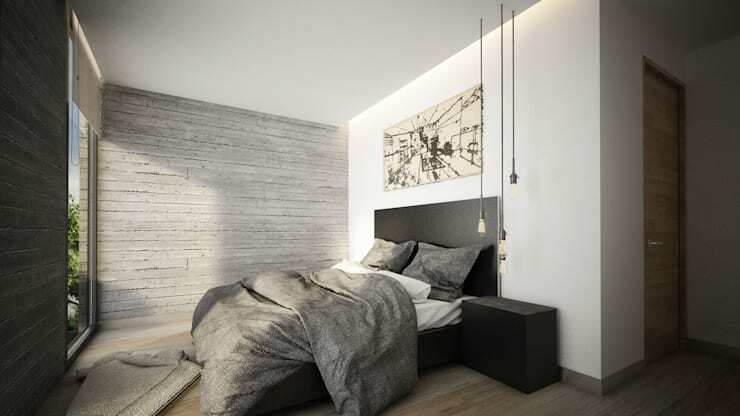 This bedroom plays with different shades of grey, bringing a very elegant, sober and sophisticated style to the space. 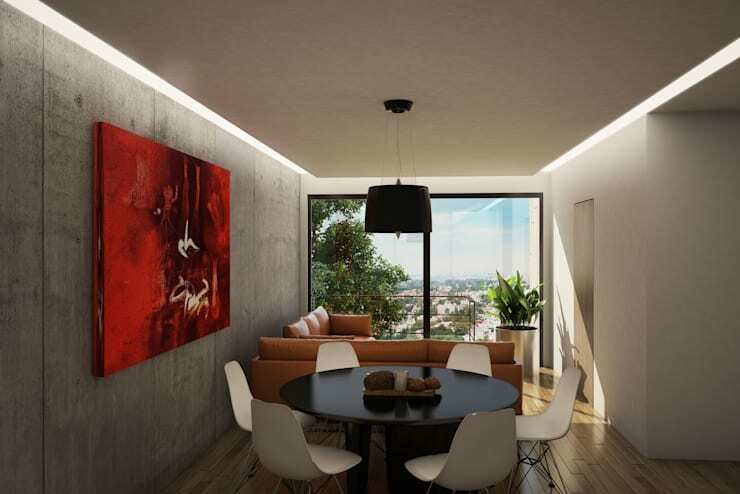 The concrete walls give the feeling of security and strength, so that you feel protected in this private and intimate space. The large window allows for a communication with the exterior space, where natural light flows into the room. In modern bathrooms, we can see that geometry and good quality materials are the corner stone of a successful design. Transparent glass partitions and the use of wood and concrete are also very popular in these modern spaces. Dating back centuries, however, tiles have always been a wonderful option for a bathroom because they are durable and hardy. 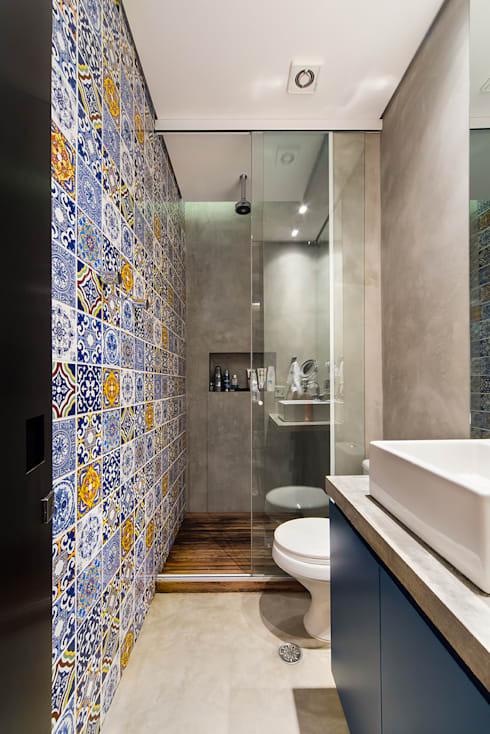 In this design, we can see how the patterned tiles are the focal point of the design thanks to the shapes and colour. This becomes a true work of art! A great option for distinguishing between different environments in the home is to use a combination of various materials for the floors of the room. This will allow you to separate spaces without having to build walls or use furniture as a divider in such limited space. Choose materials that will give your home an orderly and harmonious combination. You don't want to overburden the environment! When your home does not have too many windows, use details and designs to add depth perception to the room. In this design, we can see how a wall mural becomes the focal point of the space, distracting from the lack of natural light. It also makes this room look so much bigger! 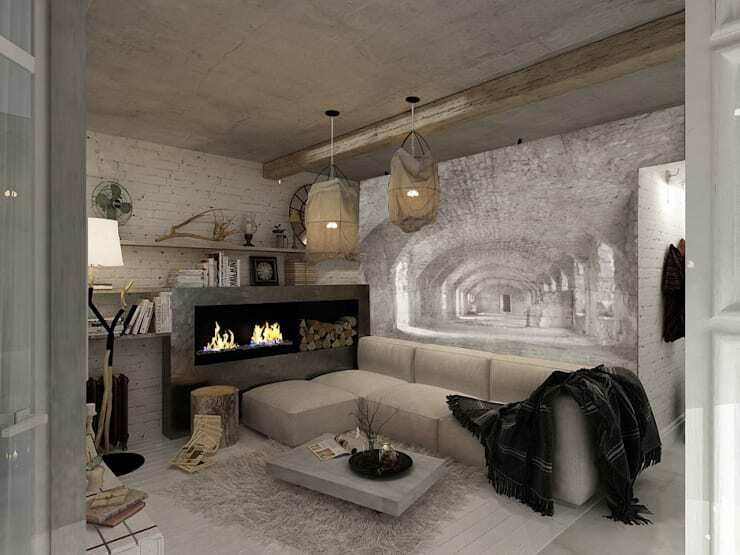 This room combines rustic, modern and industrial elements, with materials such as concrete, wood and brick used. This makes for a very special atmosphere, with a touch of modernity that is simply timeless. Have a look at this small, old-fashioned home that received a renovation on a small budget, for inspiration for incorporating modern design into your home!